Spammers. We all hate them. We see them everywhere. Here in Steemit they are very rampant. And most of these spammers are clueless as to how Steemit really works and they join this platform thinking they could make money real quick using a very easy strategy - spamming everyone and anyone. Like most people I have been spammed right from my first post. And it has not stop ever since. I have flagged quite a number of them. Higher reputation score seems to attract them the most. "Nice photography" - I got this type of comments frequently. Listen, spammers, I don't do photography. Take pictures of my art, yes, but no, I don't do photography. "Thank you for sharing" - You are welcome but is that all you got to say? Don't you have any comments in regards to my content? If your post is relevant to my content, that is fine. But please explain why. My post is not a place for you to promote your links or to find new followers. Write in your native language, yes, even in the comments section. I will try my best to use Google translate to translate your comment. That way you don't have to struggle to write in English and resort to leaving stupid irrelevant comments. By the way, I speak Malay and you can leave comments in Malay/Bahasa Indonesia. Read the post before commenting. 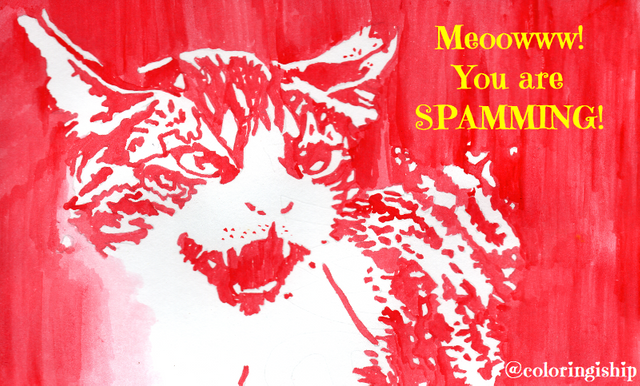 Most spammers don't read the post and they are eager to comment. 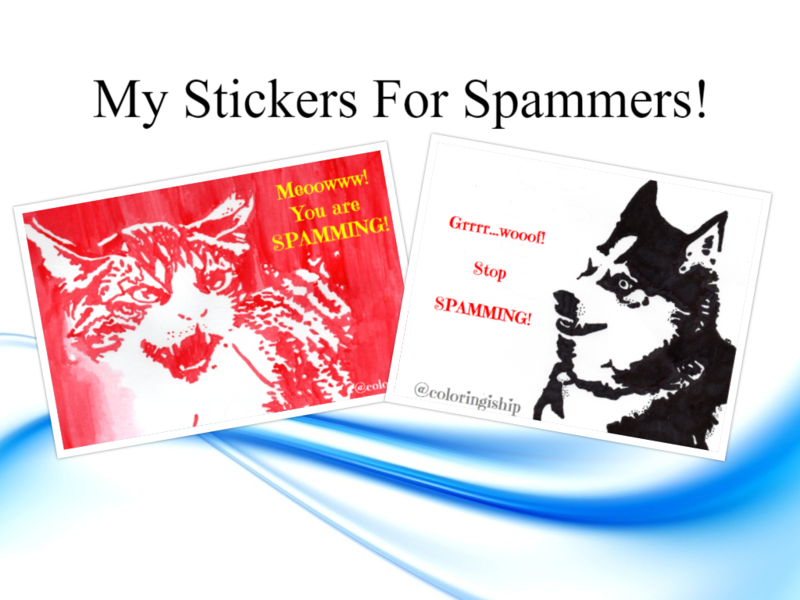 I got the idea to make these spammer stickers after seeing one by @barbara-orenya. You can see it here in her post. Scroll down to the comment section, you won't miss it. I think it's a great idea and it's funny too. Inspired by Barbara I came out with my own stickers painted using my favorite technique, stenciling. 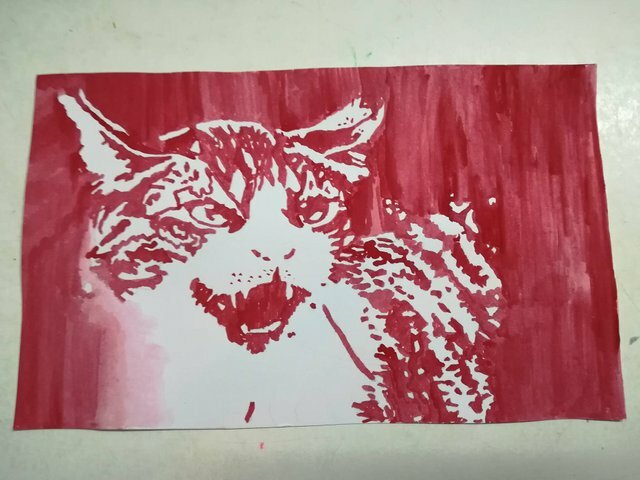 I used pictures of a hissing cat and a growling husky to create the stencils, painted them and finally manipulated the images digitally. So if I see any spam comments on my post, I will reply with these stickers and most probably will flag them too. 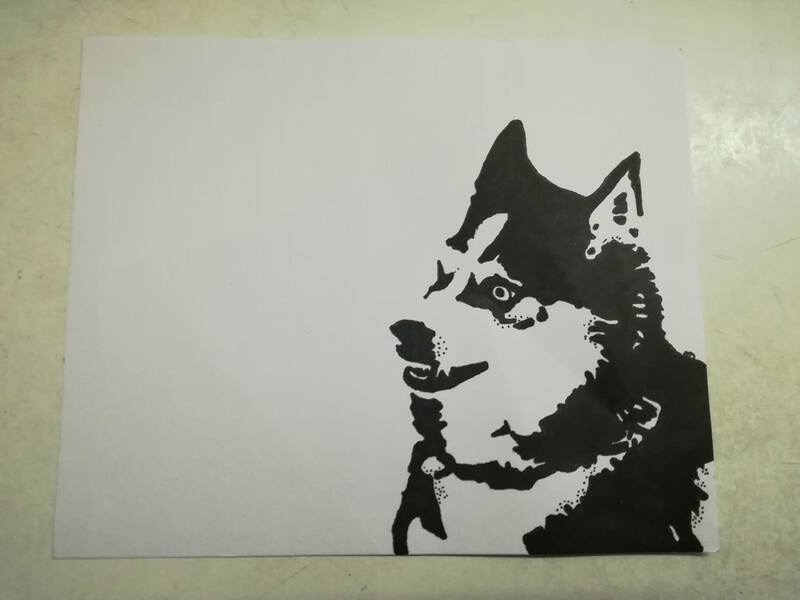 Thank you for checking out my post! What do you think of these stickers? A Tribute Post | Happy Birthday @voltranrex! I was thinking of drawing some stickers myself. The thing is I don't think these spammers check the replies. They go on hoping to achieve something. I think you are right. 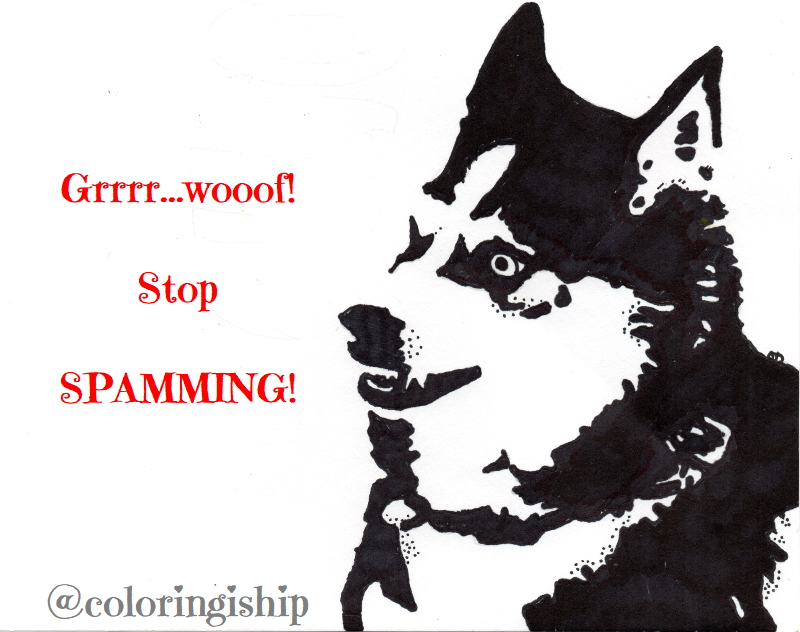 Spammers and scammers usually do not respond to people who are making them aware of their behavior. They either ignore them or just not checking their posts. Personally I think it's the first option. I consider writing a blog about it, to expose a few rotten tomatoes here on Steemit. Most definitely. They are on commenting spree and can't be bothered. The best way to get their attention is to downvote them. I managed to kick quite a few off the platform just by downvoting their comments and their posts which were plagiarized content. I agree, the best way to handle them is to downvote! I have been on Steem for only a few weeks, and spam is already annoying. I get what you mean. Funny drawings! Hey I guess it's not too late to welcome you to Steemit! Yes it's very annoying and it's not going to end but we do what we can. You are absolutely right @barbara-orenya. They don't check replies. The least we can do is to downvote or leave a sticker to warn others and eventually tarnish their image. I used to argue with a spammer because she passed someone's art as hers and I called her out. I haven't seen her around for months and I am guessing she has quit Steemit. Yes the funniest would be the ones that called you "dear", "love", "sweet" LOL! Yep, I hate it too... Especially for those who give me this kinda comment 'nice post, I have upvote it, please upvote me', and somehow there is a high ranker who often do this thing. Anyway, I envy your drawing ability, it's so nice I love the detail, especially that kitty one.